"I love the audience. When I step out on stage I get the same feeling toward the audience that I have for friends I've invited to my home for a party. I'm enthusiastic about seeing to it that they have a good time." The Saint Pio Foundation’s, “An Evening with Franc D’Ambrosio” is a hit. 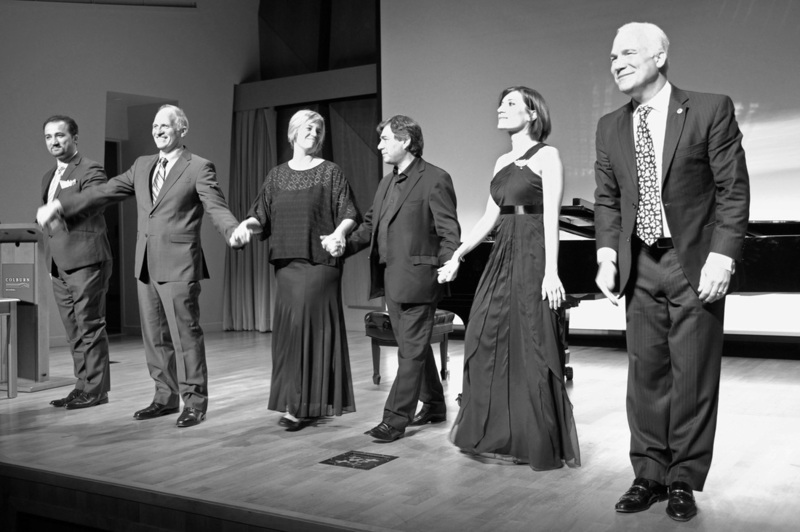 On Saturday, October 22, 2016, an intimate audience of approximately two hundred guests were treated to a full performance by Broadway star and actor Franc D’Ambrosio in Los Angeles, CA. Franc D’Ambrosio has been awarded the distinction of being the “World’s Longest Running Phantom,“ having performed it more than 2,300 times in a decade, and also known worldwide for being the actor and singer who played the part of Anthony Corleone, the opera-singing son of Michael Corleone (Al Pacino) and Kay Adams-Corleone (Diane Keaton) in the film “The Godfather: Part III.” Franc sang the Academy Award-winning theme song “Speak Softly Love” (Brucia la Terra) for both the film and the Original Motion Picture Soundtrack. During the event guests had the opportunity to learn about Saint Pio, one of the most acclaimed Saints of the Roman Catholic Church. St. Padre Pio had an amazing sense of humor that was only surpassed by his kindness. He had an uncanny intuitive knowledge of people and a fondness for Americans. This fondness developed from his work with the American GI’s during WWII after they fought to liberate San Giovanni Rotundo from the Germans. His love for America was so strong that he considered all Americans his spiritual children. Before the end of the event the audience got to hear from the foundation’s supporters, including Italian-American actors Gary Sinise, Joe Mantegna, Robert Davi and Franc D’Ambrosio, along with a series of Cardinals, Archbishops, Bishops, and some elected officials, including the Westchester County Executive, NY, Hon. Robert P. Astorino. Saint Pio Foundation President Luciano Lamonarca announced that first Saint Pio Award Ceremony will be held in Los Angeles, CA, on May 19, 2017. At which recipients of the Saint Pio Award, actor Robert Davi, Mr. and Mrs. Scott and Lannette Turicchi, and chef Celestino Drago will be awarded. Chef Celestino Drago is the owner of Drago Restaurants, recognized for being the best Italian restaurants in the Los Angeles metropolitan area. Foundation President Lamonarca also announced that the foundation will be signing a collaboration agreement with the town where Padre Pio was born, Pietrelcina, Italy, and the Capuchin Friars of the town of Pietrelcina this upcoming December, 2016. In December, 2017, the 130th anniversary of Padre Pio’s birth, the foundation will sponsor, along with the Capuchin Friars of Pietrelcina, the first United States tour of a first-class relic of Padre Pio. This unique relic will give thousands of faithful Americans the opportunity of praying to Padre Pio. In addition, the Saint Pio Foundation partnered with artist Tim Schmaltz. 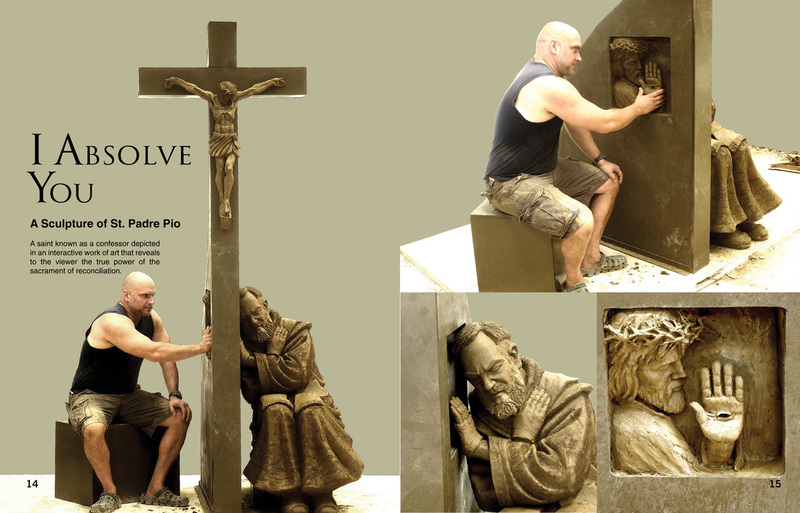 Schmatz’s worldwide fame arose from his creation of the "Homeless Jesus," also known as “Jesus, the Homeless.” Tim Schmaltz is creating four life-sized statues of Padre Pio titled, “I Absolve You.” Each statue will be placed in Dioceses and Archdioceses in U.S. The interactive statue “I Absolve You”, allows the viewer to experience the power of the sacrament of reconciliation. “During his lifetime, many thousands of people from around the world journeyed each year to experience the grace of confessing to Saint Padre Pio, already considered a Saint and Holy Man by many at that time. He saw inside of people’s hearts. Even now, each year thousands and thousands of priests embark upon the mission of saving human souls, and many of them recognize Saint Padre Pio as the model to follow in this most noble ministry.